Previously the preserve of your grandad, driving shoes are becoming cool. We’re not talking about the old-school loafer-style with the knobbly sole though. 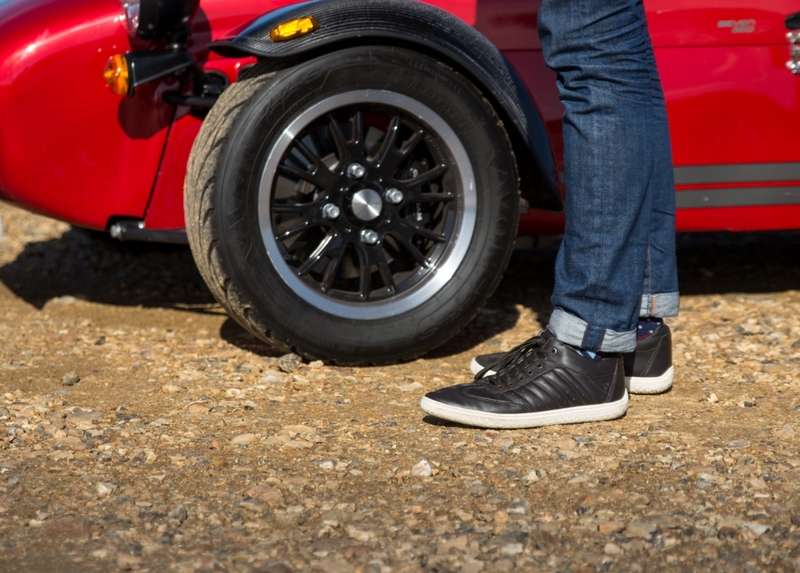 We’re talking about fresh 21st Century kicks like the Piloti Pistone. 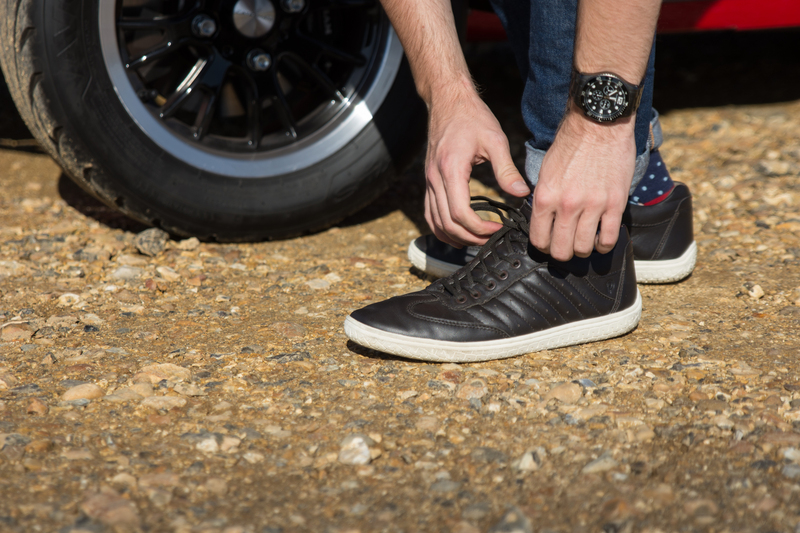 Slim and low cut, the sneaker-like design of the Piloti Pistone means they look just as at home walking down the street as they do thrust into the pedal box on your four-wheeled chariot of choice. The premium leather upper is available in three different hues – Rust, Red and Charcoal (we plumped for the latter) – and looks a little like the interior of a luxury car thanks to the quilted panelling down the side of each shoe. To help make the Pistone a comfortable, everyday proposition, Piloti have lined the inner in a soft pigskin leather (which also helps to add some durability into the mix, ensuring your shoes will last you through countless road trips). Thanks to their Italian sizing, it’s recommended to order a half-size larger than your normal shoes. The ace up the Piloti Pistone’s sleeve is undoubtedly the tyre tread-inspired sole, rounded at the heel to provide excellent control as you dance on the pedals. While the white rubber is easily discoloured if you hop out to capture a few off-piste snaps on your travels, the flat shape and relatively stiff construction helps to provide excellent feel through your feet.